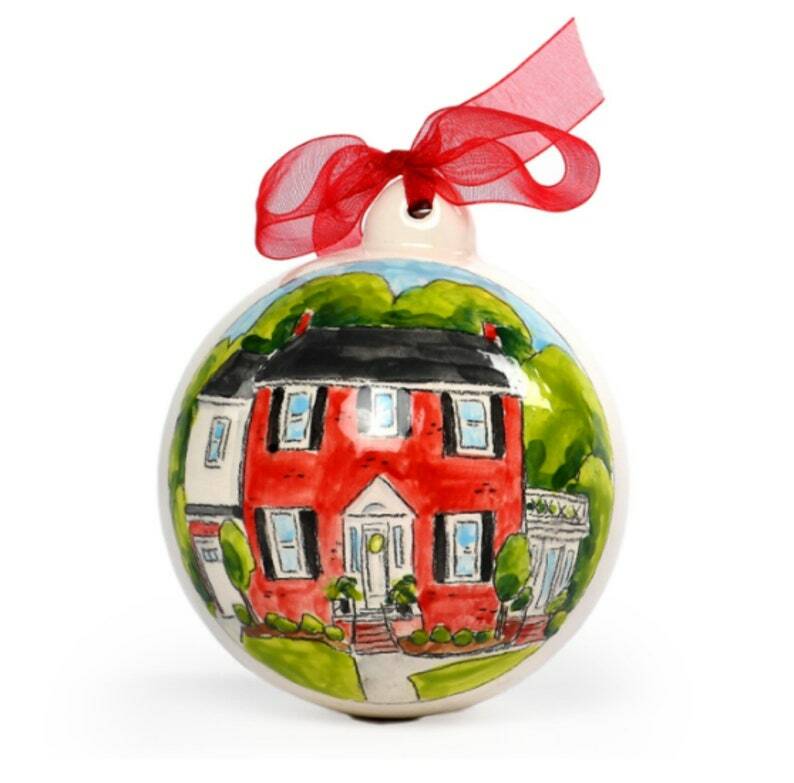 Custom Christmas ornament housewarming gift, new home, house portrait hand painted on a 3.5 inch ceramic round sphere by Magic Markings Art. 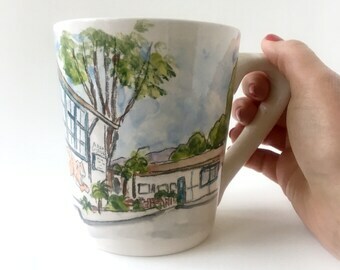 Portrait is hand painted from your photo. 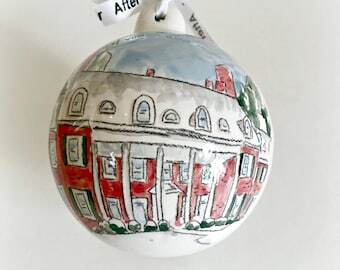 This ornament was featured in the Washington Post 2018 Holiday Gift Guide. I use the exact image sent to create the painting. Please note, I do not paint portraits of people. (2) Include the door, shutter, and house colors. 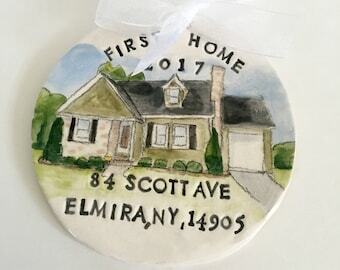 (3) Back of ornament is left blank for hand written personal information of up to 3 lines - Include your information in the notes to seller section during check out. If no personalized information is included the back will be left blank. (4) I do not send proofs of my pieces. 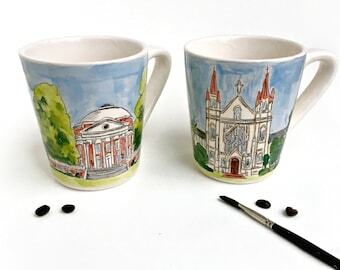 However, I do send an image of my custom gifts as soon as they are finished. 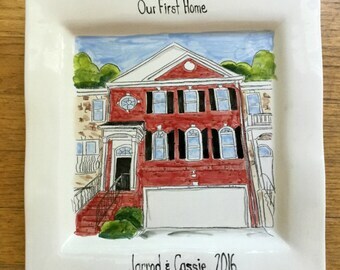 OUR TIME FRAME TO CREATE THESE KEEPSAKES IS ABOUT 3 WEEKS. 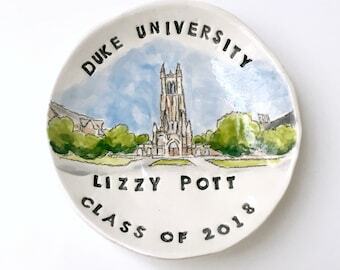 Every part of the ceramic ornament is hand touched by me making each one a unique piece of art. I sketch the custom portrait in pencil then outline the drawing with black glaze. 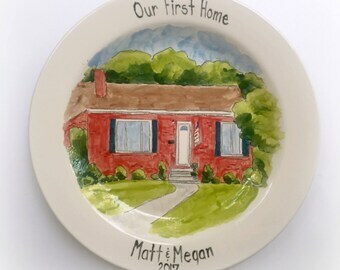 The design is hand painted with non-toxic, lead-free pottery glaze colors and the names, addresses and dates are hand lettered. such a talented artist! thank you for the special gift! Stunning item!!! The ornament was a gift and it turned out great.